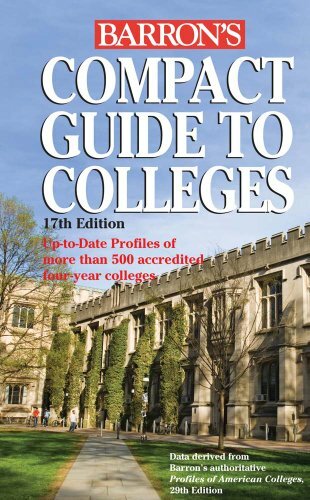 This pocket-size directory describes more than 500 accredited four-year colleges across the United States, focusing mainly on schools that fall within the top three categories of Barron’s exclusive academic competitiveness scale: Most Competitive, Highly Competitive, and Very Competitive. Up-to-date information includes tuition and fees, academic programs, library facilities, housing accommodations, campus environment, extracurricular activities, student body size and composition, student-faculty ratio, mailing and e-mail addresses, and more. This book is based on the latest edition of Barron’s full-size Profiles of American Colleges.